Goodbyes are never easy. Mornings when your child goes off to school or daycare, while part of you may be thinking, "It has to be done," another part feels a twinge of sadness realizing they will be away. It is with this same sadness that I write my last Car Seat column. 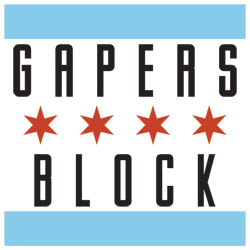 I leave Gapers Block to begin an online magazine/blog called No Little Emperors. No Little Emperors is a collaboration between my friend Kristen Rapp and myself, which will be geared toward one-child families. We are both very excited with the possibilities No Little Emperors holds for us. Knowing how much work and effort the Gapers Block editors Naz Hamid and Andrew Huff have put into Gapers Block, I realize I must put all my spare time into this project. With my son still quite young, spare time is a luxury I often do not have. 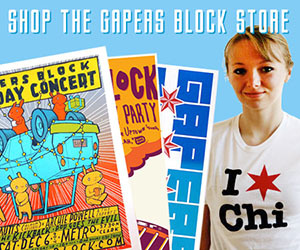 I have been on staff with Gapers Block since its inception, and can honestly say it has been a great source of pride and pleasure working with such fine writers and people. • Word of mouth — other parents are a wonderful resource that is often overlooked. One parent will find out about an interesting exhibit that is opening, they'll tell their friend and so on. • Periodicals like Chicago Parent, Chicago Baby and of course, this one, list upcoming events and their specifics. Even newspapers like The Reader, New City or the Red Eye, while not specifically geared towards children, often list something that might appeal to your child. • Many local public library and park districts have weekly activities for children of all ages, from story hours to craft projects — and the best part is one is usually within walking distance from your home. • The Car Seat archives are also a good resource since several of the columns aren't time sensitive. • Your child's teacher or daycare provider often receives information from companies and museums about upcoming events. He or she may have information well before it is publicized, so you can plan accordingly. Starting something you've never done before can be frightening. In many ways, it's akin to parenting. You're not sure if you are doing it right, but by God, your heart is truly in it and in the right place. I look forward to my new adventure. It's been a pleasure sharing my discoveries and times with my son with all of you. Remember that this city is a treasure trove of adventures, opportunities for growth and creativity for you and your children. Take advantage of what is out there waiting for you, and never stop growing. To you and yours, a good day and night!